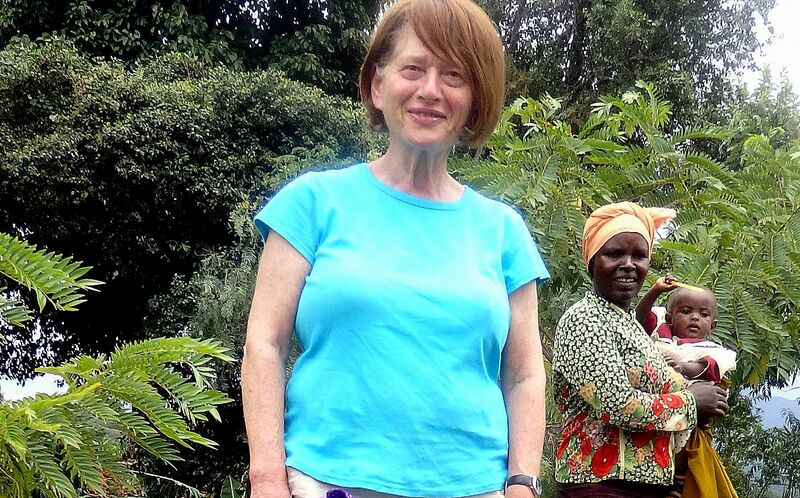 Tricia Barnett in this interview addresses issues linked to tourism sustainability which are often overseen and insufficiently addressed in mainstream sustainability discourse, namely human rights and equality in tourism. Learn how, first through the organization ‘Tourism Concern’ and now with ‘Equality in Tourism’, Tricia has helped and empowered women around the world, the lessons she has learned, and her advice to tourism professionals who are keen to improve gender equality in tourism. Advice to hotel or tour managers on how to empower women as part of their ambition to become socially responsible, sustainable businesses. Tricia; you have been involved in responsible tourism and human rights advocacy for many years. Do you remember what brought you to the topic in the first place? How can I forget? It was provoked by a long holiday hitching on my own in Cuba where I had the most brilliant, open, hospitable experience. This was followed the next year by a miserable, fraught, hostile holiday in Jamaica where even taking a bus could be problematic. Soon afterwards, I signed up as a very mature student to study anthropology. I took the opportunity to research into tourism to Jamaica. Why were the two experiences so very different? I learned that tourism had come to Jamaica following the abolition of slavery in the late 19th century and replicated the social patterns of the plantation economy. I got deeper into the subject and began to understand tourism’s impacts on people’s human rights. I followed up by signing up to the first ever Masters’ degree in the Anthropology and Sociology of Travel and Tourism. Tourism Concern then provided the vehicle to campaign for a sustainable, participatory and just tourism. Now in 2017, (how) has your view on tourism and its human rights ‘performance’ changed? Critical to our work has been partnering with people and groups in the South who approached us for support and advocacy. Often they live under repressive regimes and they don’t have the freedom to campaign openly. Their stories haven’t changed. I feel sad to see the same patterns of abuse repeated over and over again. Governments and industry still fail to recognise that human rights are a fundamental element of any sustainable approach to development. At Tourism Concern we produced two reports on tourism and human rights, the first prompted by the 50th anniversary of the UN’s Universal Declaration of Human Rights. Little had improved by the time we produced our second report. As with all our reports we listed recommendations and calls for action to ensure people’s protection. Examples of human rights abuses include people’s right to water. There are huge problems of appropriation, depletion and pollution of water by hotel and resort developments because of unregulated tourism. This is true particularly for island communities. People’s environments, living standards, livelihoods and development opportunities are undermined. Working conditions and labour rights are also commonly abused by every sector of the tourism industry globally. We also produced very well researched reports on the business case for the tourism industry to understand why business needs to take a human rights approach. They covered risk management, competitive advantage, social sustainability, business leadership and ethics. 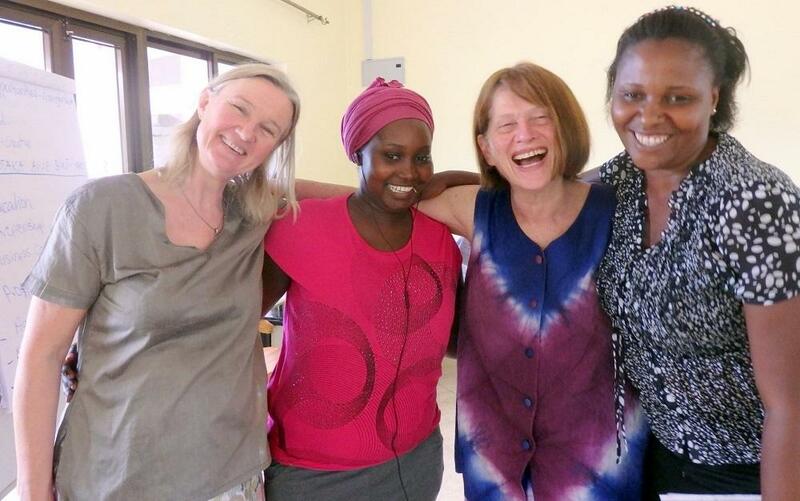 What led you to co-founding Equality in Tourism: Creating change for women, and what is it about? It took me far too long to recognise that sustainable tourism would never be achieved without gender equality. We set up Equality in Tourism to drive change in the development and practice of global tourism by empowering women through the involvement of local communities, and by engaging stakeholders at every level. I know that tourism can create positive change in communities if all members enjoy equal access to the industry and its benefits. However, the way that the tourism industry operates magnifies the disadvantages and constraints that women face in their lives. Gender inequality significantly undermines the potential of the tourism industry. We established our non profit organisation because we want to work with all sectors of the industry and with local communities to help ensure women enjoy an equal share in the global tourism industry. We use gender analysis to understand the norms that structure relations and processes within institutions and society to take the industry forward, so that it can be genuinely sustainable. You ran Tourism Concern for an impressive 20 years, which are your 5 key insights and lessons from that period? That only regulation, nationally and globally, will push the industry forward into the 21st century so that it respects people’s human rights. When the industry is doing alright it sees no reason to change. That at a local level a rights’ based approach to tourism development is far more sustainable than a top down approach. That operators are so powerful and competitive they bargain the rack rate at destination hotels down to extraordinarily low levels: ensuring that those at the bottom end of the pyramid never earn a living wage, that the environment doesn’t benefit and communities lose out. That local people really can benefit from tourism and everyone can share its benefits when there’s a real commitment to support local entrepreneurship and fair working conditions. That it’s so hard to get the holidaymaking public on board – especially when you’re operating on a shoestring! However committed someone is to the environment or human rights, when they’re on holiday most people cut off from these concerns and only want to have a good time. The UN have declared 2017 the International Year of Sustainable Tourism for Development. 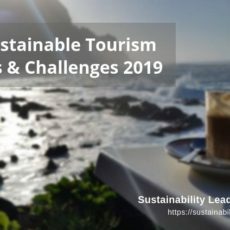 In your view, which are the main challenges right now regarding the sustainability of travel and tourism? And how are organizations like the UN helping to overcome those challenges? The UNWTO was responsible for declaring this International Year and relating it to the UN’s Sustainable Development Goals (SDGs). Equality in Tourism has produced a detailed response to their discussion paper, which is available here. 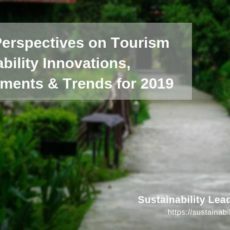 What specific changes in tourism policy, business practices and consumer behaviour are needed to address these issues and contribute to sustainable development? First, it should be noted that this report fails to grasp the importance of SDG5 for achieving all other development goals, as outlined consistently across UN policy discourse. Without tackling gender inequality in a meaningful and substantive way, tourism’s potential to contribute to the other SDGs will be substantively reduced. Second, the paper only discusses a relatively narrow aspect of gender equality issues in tourism – employment and decent work. This misses a large range of how tourism interacts with gender inequalities. In particular, it depicts a limited framing of gender issues as related to economic empowerment, leaving out discussions of political empowerment and broader questions on structural inequalities. Third, the paper does not demonstrate an understanding of gender analysis or gender inequality and – as such – it is not clear how tourism is meant to contribute to achieving SDG5, nor the role of institutions in working toward this. Moreover, mixing ‘women’ and ‘youth’ is an unhelpful conflation, and further serves to marginalise the importance of gender issues to both the SDGs and the tourism sector. Fourth, it is well documented that gender equality cannot be achieved without dedicated resources. In order to make progress in this area, a budget is required in order to advance tourism’s contribution to SDG5. Establish a dedicated budget for gender equality and SDG5 within UNWTO to ensure that necessary actions and programmes can be carried out. This should be done in collaboration with specialists in gender and tourism in order to ensure that UNWTO work matches international norms and standards on gender equality. 2017 Tourism workshop for the farming women of Moshi, Tanzania, Tricia Barnett together with her colleague Stroma Cole. Which of the many projects and campaigns during your work with Tourism Concern have you personally found the most rewarding? Although we operated on a minimal budget, we achieved a very great deal, both as campaigners and publishers. Our teachers pack and video on The Gambia was requested by almost every school in the country. Approaches to us by porters in Kilimanjaro, Machu Picchu and the Himalayas about their inhumane working conditions resulted in us working with them and the trekking industry to produce The Trekking Porters’ Code on Working Conditions, which is still in use today and even led to a change in the law in Peru and strict regulation on Kilimanjaro. Porters no longer take up loads of over 40 kilos, or wear flip flops and sleep in caves – all on one meal a day and leftovers. Aung San Suu Kyi asked us to try and prevent tourists coming to Burma until democracy was restored. Tourism Concern joined forces with Burma Campaign UK to successfully persuade many UK tour operators to pull out of the country because of tourism’s links with mass human rights abuses. The UK Government also called for tour operators to withdraw. Displacement of people from their homes and livelihoods was a key campaign. We were approached for help by residents too afraid to speak openly. We managed to stop a mega development on Zanzibar that would have displaced 20,000 farmers and fishermen from their homes. Imagine you could turn back time and start all over again. Knowing what you know now about the tourism business, what would you do differently? Not a lot! We worked on a pittance. We could have done so much more if we had been well funded. But I’m still no wiser about how you raise funding to challenge tourism development that has negative impacts. I was and am on a constant learning curve. 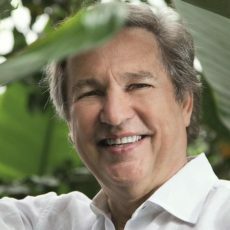 Your 3 bits of advice to hotel or tour managers eager to empower women as part of their ambition to become socially responsible, sustainable businesses? You can start by looking at your own workplace and carry out your own gender audit. Survey everything from your board (if you have one), your executives, your managers – all the way down the hierarchy. Is there a fair balance between men and women? Does your company have policies on gender equality and equal opportunities, on training and mentoring, on child care provision, on flexibility of working hours and place? Are these policies genuinely operational and male and female employees receive equal pay for equal work? Then, if you’re up to it, it’s good to check out whether there are such policies in place for those you contract in as well as throughout your supply chain. After all this, if you’d like the help of Equality in Tourism – we’d be delighted to take you further. Connect with Tricia Barnett on LinkedIn or learn more about Equality in Tourism here. Enjoyed our interview with Tricia Barnett about gender (in)equality and social justice issues in tourism? Share and spread the word!